We’re back! Sorry for the long delay since the last meeting. 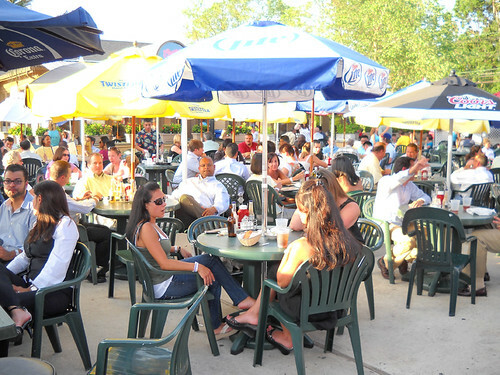 Let’s meetup again and enjoy the outdoor venue at Green Knoll Grille in Bridgewater. All are welcome, come and meet up with fellow virtualization enthusiast for some drinks and tech conversations. Citrix, VMware, RedHat, Microsoft, Networking, Storage, BYOD admins, it doesn’t matter. Come in and share your experiences or toss out questions to the group. This time we have a sponsor…Nexenta! They have stopped by in the past and bought a round, so this time it is official. As always there will be no sales pitches, they will just join in the tech conversations. Let the good weather come. Everyone enjoyed the outside patio of the Green Knoll Grill last time, so we’re sticking to the same location this time. Come and meet up with fellow virtualization enthusiast for some drinks and tech conversations. Citrix, VMware, RedHat, Microsoft, Networking, Storage, BYOD admins, it doesn’t matter. Come in and share your experiences or toss out questions to the group. Zerto is looking to sponsor this event…how can we contact you offline? That Icon looks exactly like the swimsuit I would have packed haha! Cannot wait to see you all at the Vbeers. It should be quite the crowd! We have added a sponsor to this event. Zerto has offered to keep the vCheers flowing. No product pitch, just meet and greet and beers on Zerto. I can’t wait to see everyone again next week.